People tell me all the time about how much they struggle in the hills. And that makes sense, right? You have to move your heavy touring bike and all your gear up a steep road, requiring LOTS of hard pedal pushing along the way. Actually, that’s simply not true. If you struggle in the hills, you’re doing it wrong. Let me explain. The amount of ‘power’ or ‘effort’ that you put into the pedals can be measured in watts. We can measure this power using strain gauges built into bike components like the cranks, pedals and the rear hub. When you ride up a hill and you’re pushing 150 watts, that is the same 150 watts as when you’re cycling on the flat. The difference is that 150 watts on a climb simply translates into a slower speed due to the effects of gravity. You’re not actually working any harder. It’s the same amount of effort! 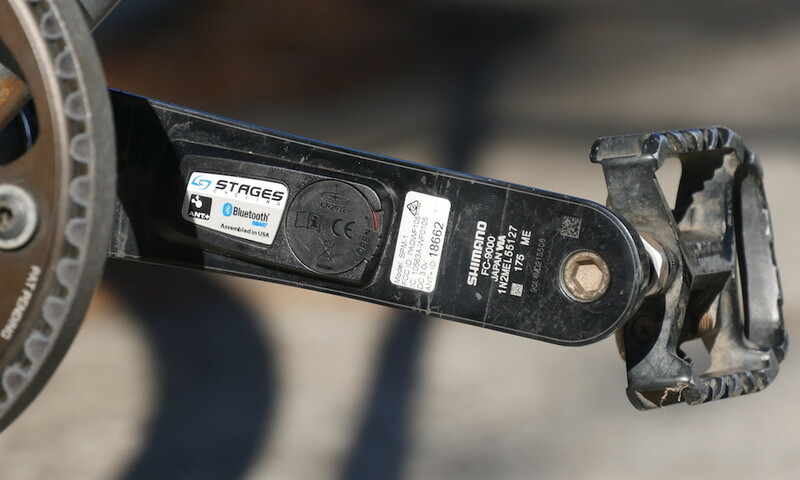 In the last few years, power meters have become available to recreational cyclists due to advancements in technology, competition between manufacturers and lower costs. While I don’t deem them necessary on a touring bike, my experience using them has allowed me to get a feel for what different rates of power should feel like on different types of terrain. You can do a spin class at the gym to get a feel for the kind of power you can sustain over certain time periods. This is the power meter that I used for my weight and aerodynamic testing. By using the right low gears efficiently, you can pedal at the same revolutions per minute AND push the same amount of power into the pedals on most road gradients (within reason, let’s say up to 15%). That’s why I’ve calculated the low gears for you to compare on every touring bike in my book, and it’s also why I advocate for appropriately low gears on touring bikes in general. Let’s look at how you can make your effort the same, no matter the gradient. Are Your Gear Ratios Too High? Do you already go up hills in your lowest gear and still find them really hard? Well, your lowest gear probably isn’t low enough. When your pedalling speed (cadence) is low, you fatigue your leg muscles (mostly quads) more, and utilise your heart and lungs less. The opposite is true when your cadence is high. An efficient pedalling cadence for the hills starts at about 60rpm. Anything below that and you’ll really start to feel the effects of fatigue on your muscles. We can measure low gears by equating them to gear inches. With this information, we can then compare bikes with different wheel sizes and drivetrain setups. 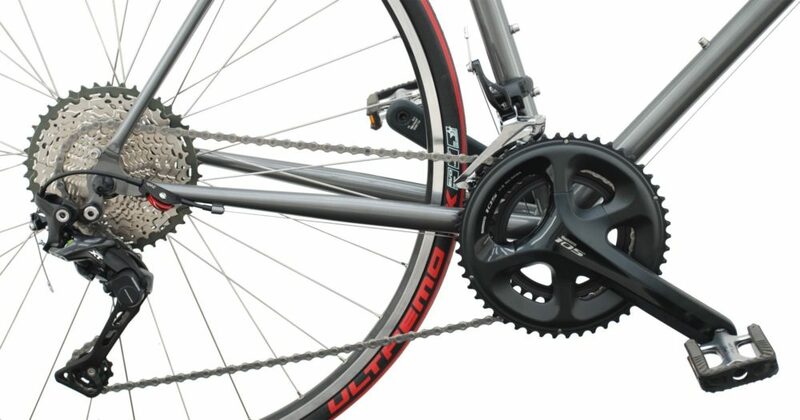 The lowest gears to fit on touring bikes are between 14-15″. That equates to a 4.1-4.3km/h climbing speed at 60rpm, which is about the slowest you can go without losing your balance. Example: A bike with 700x38c tyres, a 24t front chainring and a 36t cassette cog has an 18.2″ gear ratio. Once we know this, we can calculate that at 60rpm you’ll be travelling at 5.2km/h (3.3mph). 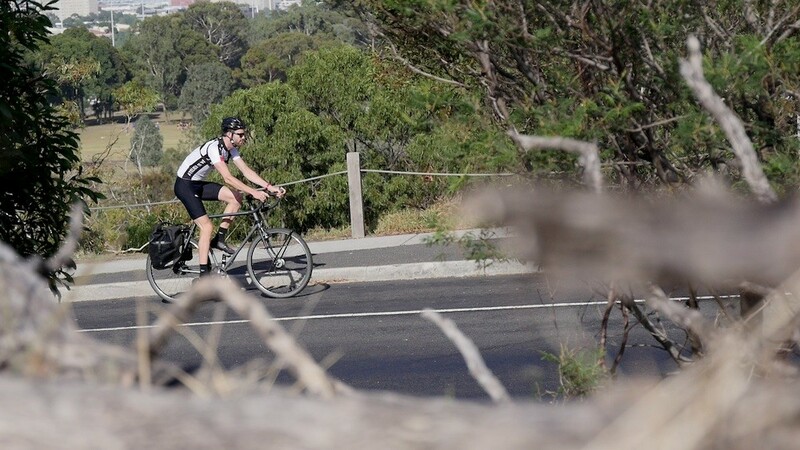 We can then use BikeCalculator to determine how steep the climb can be in order to maintain 60rpm @ 5.2km/h. Provided the rider is 70kg, the bike/gear is 25kg and they’re pushing 150w, they can ride up a 10% gradient climb without any drop in their cadence. More on gear ratios HERE. Fitting lower gear ratios to a road bike drivetrain. I Get It, But Why Do Hills Always Feel Harder? With gravity taking a cut of your momentum, your speed will dramatically reduce when you stop pedalling. In order to overcome this, you’ll want to be pushing your pedals at an effort that is sustainable from the bottom to the top of a climb. At slower travelling speeds, you aren’t getting the same evaporative cooling effects as faster speeds. That means you’ll want to employ other methods to cool yourself down. I can recommend pouring water over your head, neck and forearms. You should also make sure you wear lots of sunscreen, or alternatively cover yourself up as sunburn will contribute to fatigue and increased fluid needs. If you’re cycling over 2000m (6000ft), you will notice that it’s harder to breathe. This is because there is less oxygen available in the air. Cycling at altitude is harder both on the flat and in the hills! At the point of the pedalling phase where you have the lowest leverage on the cranks (6, 12 o’clock), your speed momentarily slows. The rate of deceleration is greater when cycling uphill due to the additional effects of gravity on your momentum. That said, the ‘real world’ change in your speed and momentum is minimal at most cycling gradients (undetectable on a bike computer) and can be overcome by switching to an even lower gear (higher cadence). The times when Crank Inertial Load is most relevant is when your cadence drops significantly because you haven’t got a low enough gear (eg. 30-40 RPM). You can read a study on this topic HERE. 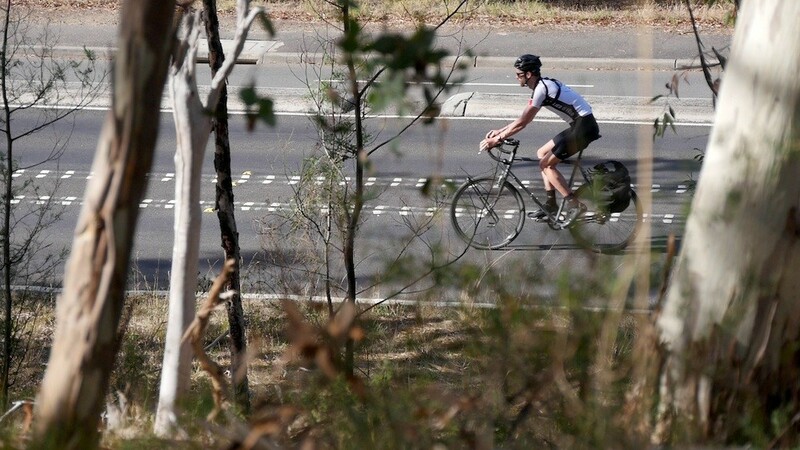 Due to the slower travelling speeds on a climb, the effects of wind drag are greatly reduced. That means more of your power can be used for other things like overcoming gravity. It also means that there is little aerodynamic advantage when using bikepacking bags over panniers. When you head into the hills, you get to see the world from up above. How rewarding is that? 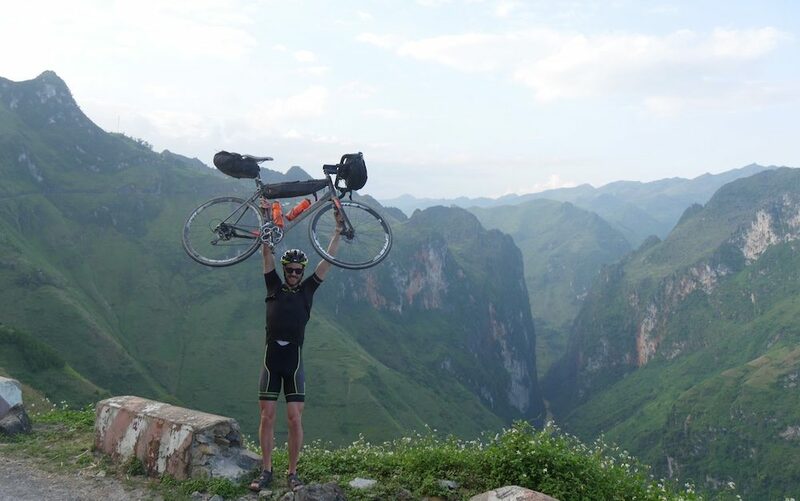 I completed over 30000m of elevation over two weeks in Vietnam. It was slower but not necessarily harder than my flat tours. Take it easy when starting to climb. Measure your effort by how heavy you’re breathing when you ride. Slow down your speed by slipping into a lower gear when you feel your body working hard. The optimal cadence is different for everyone, but I’d recommend trying to push at least 60RPM in the hills. For reference, I spin at closer to 90RPM a lot of the time. If your low gear isn’t allowing for this kind of cadence, you’ll want to get some smaller gear ratios. Surprisingly, most touring bikes do not come with adequately low gears for touring in the hills. You may need to change your rear cassette, front chainrings and even your crankset to get a sub-20″ climbing gear. But it will be worth it – hills will soon be your friend, not your foe. To Better Understand Gear Ratios Go HERE. To Find Out How To Lower Your Current Gearing Go HERE. To Calculate The Steepest Hill You Can Cycle Up Go HERE.